Musical director Gordon Eddison with, from left, Sophie Nelson, Liza Nelson-Laidler, Janet Wiffen, Dan Eddison, Owain Hughes and Martha Nelson. 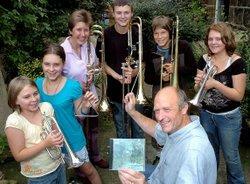 The debut CD by Otley Brass Band, under the conductorship of Gordon Edisson, was commissioned both to celebrate the band’s 35th anniversary and to generate funds for a new development / feeder band it planned to start in 2009. Subsequently Wharfe Brass was founded in 2009, the aim of Wharfe Brass being to attract enthusiastic local brass players of all ages and ability from the surrounding area. Some of the tracks from the Chevin Chase CD were played at the Civic Centre in Otley when it was first launched on Tuesday 22 July 2008. 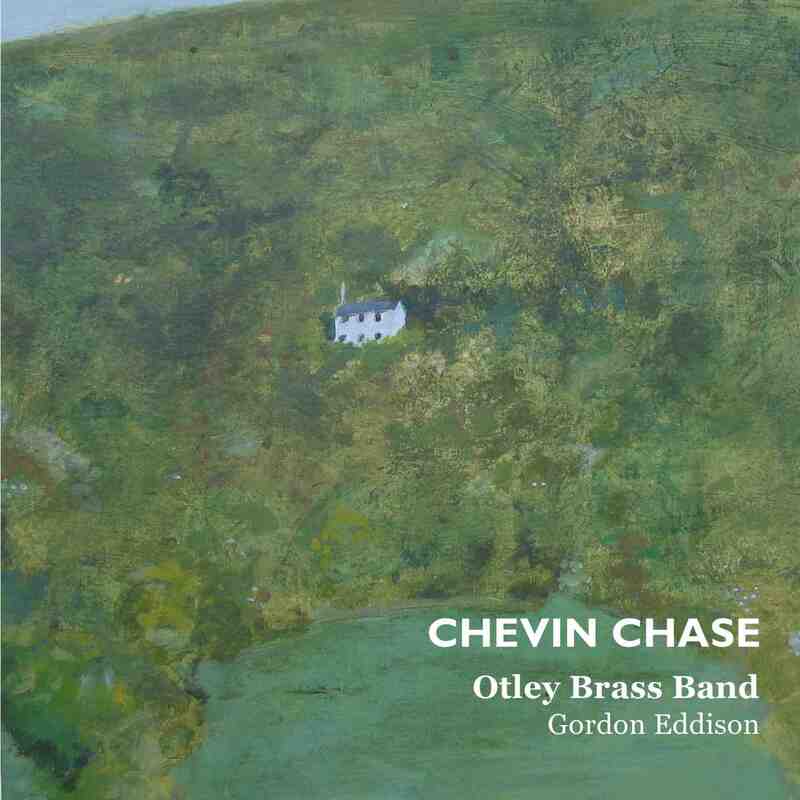 The Chevin Chase CD recording is an eclectic mix of music that includes technically demanding pieces like The Waltonian March, a medley of tunes from the movie Chitty Chitty Bang Bang and the big band hit Beyond the Sea. It also features this area’s most famous traditional tune, On Ilkla’ Moor Baht ‘at, with a twist that teams it with On Richmond Hill. Otley Brass Band may actually be the only band to have recorded the Ilkley anthem, as the band were contacted by an Ilkley family who had asked for it to be recorded especially to play at an Ilkley gentleman’s funeral as they hadn’t found a brass band recording of it. The CD also includes a specially commissioned piece, Chevin Chase, by composer and Harrogate Band musical director David Lancaster. The band chose the piece as a showcase for its principal cornet player at the time, Malcolm Sexton. The piece had been kept secret from Malcolm until it was ready and then the solo part was presented to him. All copies of the CD have been sold.